MUFF WIGGLER :: View topic - MaxiKORG DV800 CV/Gate mod ? MaxiKORG DV800 CV/Gate mod ? Does any of you DV800 owners have a CV/Gate mod on their MaxiKorg? There was a Japanese company offering mod schematics but it seems like they are not in business anymore. The only other option I found is this DIY guide. Has anyone tried it out or are there any other options?? Thanks. Mine had them when I got it in '98. As afr as I have ever been able to determine they only affect the pitch and gate, with no effect on the performance controls, which is where most all of the magic is. Maybe there is a different mod that brings them into play, which I would shift to in about one second. there's a 'modular mod' by Analogue Solutions but it's just for MiniKorg not Maxi. I just emailed AS asking if it can be also used on or adapted to the MaxiKorg. I bought the Analogue Solutions mod for 30 pounds or something. It wasn't a total ripoff but I wouldn't recommend it (if it's still available). It's a Hz/V instrument. I think everyone knows that up front, right? Bad news is quirky old Korg seems to use +-10v for the filter or something super wide meaning when I plugged in the filter mod to a doepfer LFO it just wiggled a little, anyway that's not great but not unsurmountable. Another annoyance with anyone's mod is as far as I know you either have to build a new circuit board or hold down a key on some or all Maxikorgs for the pitch CV to work. Maybe it has to do with the duophony or something. Anyway, on mine if I don't tape down a key, it won't respond. Not a super big deal, I think the mod I have breaks the now normalized keyboard when a plug goes in so you don't hear the held key, if you follow, it does work properly, you just need to tape down a key. The kit mentions nothing of the hold down a key or build a circuit board, I learned that on the net. Not sure what the deal is, maybe some units, like the one ASolutions tested the kit on are different in multiple ways. There are definitely differences in units. Mine has traveler DIN i/o so I dumbly drilled more holes than I needed. Also the fairly useless pass through feature on mine should have been used for the mods. The best I understand it Korg thought it was useful for bands without a mixer? You can mix an external signal with the synth. It's not like running audio through the filter and VCA, nahhhh, that would actually be useful. Anyway I'm just pointing out yours may have IMHO useless plugs on the back. The one mod ASolutions omits is running audio through the filter. That would be a useful mod to have, no question. interesting..., thanks for all the info! my MaxiKorg doesn't have the DIN connector but a pair of "TO ACCESSORY" and "FROM ACCESSORY" inputs and outputs, which are basically FX loop In and Out. could it possibly be that one of the filter knobs works as an attenuator when controlling the filter externally? when i tried to control my Pro-One's filter with external CV i was always getting similar results (less than impressive that is) until i read the manual and found out that VCF's Keyboard Amount pot also double-functions as a Filter CV IN attenuator. Mine is modded with all the E-lab circuits (a Japanese synth DIYer). E-lab site has gone now. I have posted all the schematics in a thread on electro-music (its down at the mo' so will add the link when its back up or I will turn on the old pooter and post them here). It doesn't get any easier to control with CV/gate but at least for me I could 'play' it as the keyboard was buggered on mine. as I said in the keyboard thread, I could design a PCB with all the CV/gate subcircuits onboard and get some made. Probably would work out to $20 a board. Sometimes I think about cloning the whole 800DV into a set of modules, its such a growling beast of a synth, all I need is a spare month or so! as I said in the keyboard thread, I could design a PCB with all the CV/gate subcircuits onboard and get some made. Probably would work out to $20 a board.! that'd be great, i'd definitely buy it! just so this stuff is all in one place. the zip contains DV800 schematic, block diagram, CV and gate mod circuits (you will need two of each), pictures of where to alter the Korg circuitry to implement the mods plus a VCA replacement circuit if your VCAs are dead. Plus VCF inputs and more. This is all from the now defunct e-lab page. I will make a little PCB, including a regulator to get +15V. It will be about 2 months away as it will be done in a batch with some other boards i am doing. Managed to keep it fairly small - about 1" x 5.5"
sorry its taken so long, tend to have about 20 projects running at once. It will be included in my next PCB run, which should be sent off in the next 2 weeks.....so xmas? You will only need 1 board, will get probably get 20 made, 1 for me, 19 for sale, expect $20 including shipping to anywhere. would this work on the minikorg? They are very similar synths but looking at the CV input cct for the 700S on Cykong shows a few differences, mainly the CV input is turned on and off by a FET. So the 800dv board might work, but if you are going to go thru all the trouble of building a CV/gate input, use the proper circuit to suit the 700S. probably the most hassle-free solution is to get a HzV/Gate/Filter retrofit kit from Kenton. I have it installed in my 700S - works great! No, you don't hold down a key. You chose between internal keyboard and external CV/gate with an included switch. So the new stuff that gets installed on MiniKorg's rear panel are three inputs (cv, gate and filter) plus the switch. Cool, I'm gonna try the kenton one, thanks! Just getting 20, 1 is for me, so 19 available. You will only need 1 PCB for 1 800DV, each PCB has 2 CV circuits and two gate/trigger circuits. The PCBs will be $20 including shipping to anywhere. If you want one, just say so on this thread (you can of course change your mind) and I will let you know when they are tested & ready to go. Given all the hoohaa with xmas & new year I expect they will arrive in mid-Jan.
turned on the 800dv to find all the switches have corroded and need replacing (same as cykong had to do). Lower VCO doesn't work at all. I suspect i will have to replace all the pots and electros too to be honest it isn't going to happen for a few months. so I tested the board by hooking it up to the PSU, feeding it CV and gates, then monitoring the outputs with my oscilloscope. It all works as expected and is the same as the original e-labs design. The only difference is I used BC transistors instead of the Japanese ones specified. For this kind of circuit any general purpose trannie will do. Each PCB has 2 CV circuits and two gate circuits, ie one PCB for one 800dv. Out of curiosity, does anyone know if the 900PS uses the same circuitry and therefore this mod would work with that synth? I beleive the 900PS predates the mini & maxi by only about a year. The 900Ps also has a similar trigger circuit to get the EG and whatever else to tick over. So yes it would be do-able, just you will have to experiment to find the best way to do it. So can I have a board please? Could half of it work for the 770? I am sure you could make it 'work', the question is how well? Tho I remember when my 800dv did work the CV/gate mod circuit was great fun but difficult to tame. It looks like the 770's "remote" input is a gate or trigger input, at least to trigger the EG. Otherwise, the gate sections on the mod PCB have three types of outputs (one follows the incoming gate, another is inverted and the third connects to ground when the gate is high) This covers all the usual types of requirements for gates so one of them should suit your needs. you could try to use the two CV channels on the mod PCB to control the VCOs. My suggestion would be to use an oscilloscope and monitor the likely points around the tuning pots to see where the voltage changes as you press keys up and down the keyboard. On the 800dv this ranges from 1V for the lower F key up to 12V for the top C key. You could check this with a multi-meter if you do not have a scope, just hold the key down until you get a good reading. Once you have found a likely node, cut it, install a switch to select between keyboard or external input and give it a whirl! Not sure how good your electronics skills are, don't be shy to ask here or on the diy forum. Do I need 2 of them if I want to control Synth1 and Synth2 independently ? 10 years ago I was walking in the street and suddenly I have fund a Maxikorg 800 dv in the garbage !! now that I can across this nonlinearcircuits pcb board I am so excited to make this mod. I have a basic knowledge in electronic so I would like some guidance please if someone can help.! This is a list of the components / parts that I assume is needed, if there is anything else I need to get or to know please let me know. 10u Capacitor X 1 what is the voltage ?? nun and pnp transistors, what are there values ?? The capacitor can be 35V or higher (50V okay). I always buy 50V rating. This is just the minimum operating voltage for the cap. The 78L15 is a regulator, you just need one of these. Note the 7815 is a 1A version and is bigger with a different pinout to the 78L15 which is the 100mA version. The two op-amps are TL072, many dual op-amp ICs will work fine. Thanks for the info, I will take my time to do this mod, I will let you know of the progress. I'd like to buy one of the PCBs if they're still available. Though once they are gone I will probably get more, its a small PCB and easy to tack onto other manufacturing runs. The 100 nf capacitor I have found are in Mylar or Polyester material, I wonder if it make any difference if they are not in carbon ( Beige brun color ) !?? Is 1 watt are ok for all the resistors in my list ? I did not found the 78L15 regulator so I will use the 7815, I am not able to see the pin out difference (only 3 pins) ?? 1. the 100nF capacitor is just for decoupling, it keeps the power supply smooth. A ceramic (beige colour) is fine for this job, it is also fine to use mylar or poly. These types are better quality. You can use metal film or carbon resistors, metal film are better, but seeing as the 800dv uses all carbon resistors (metal film used to be expensive) it will make no difference. i'd like one of these pcb's if you still have them.. would be great to use my 800DV again! I would like to order a PCB to modify my DV800. If I'm correct I only need 1 PCB for 2x cv and 2x gate? I was able to solder them on the PCB but they are touching each other (tightly) with the 7815 and the other black capacitor. if you mean the bodies of the components are touching, that is fine. Just be sure there is no metal to metal contact. Post a photo of them if you like. I think I have figure it out. Now I have just realize that I forgot to order 2x 47 ohm resistors. just to add on the list for other users. The upper section w the nonlinearcircuits mod ( CV & Gate ) is done, it is working only if I press a key. any clue if it is possible to make it work without pressing a key ? It should be wired up so the keyboard is switched out of the circuit when using the external inputs and would have no effect at all. Which is "Gate in 1"? Do you mean the S&H Gate or the Repeat gate? I guess try wiring in all 3 gate connections. I have realize that the SH is need to be solder to make the full gate usable. now I wonder if I need to solder the 2 rpt ( one for each cv ) together on the same RPT Mod wiring .??! I suggest using a toggle switch to select which gate will control RPT. What could happen if I connect the 2 RPT on the same distination.,, could it overload the voltage.? The problem is that my Maxikorg repeat function doesnt work on the upper section , only the lower and only 1 mode is working..
now I only need to figure out how and where can I place the pcb inside this monster beast,.. 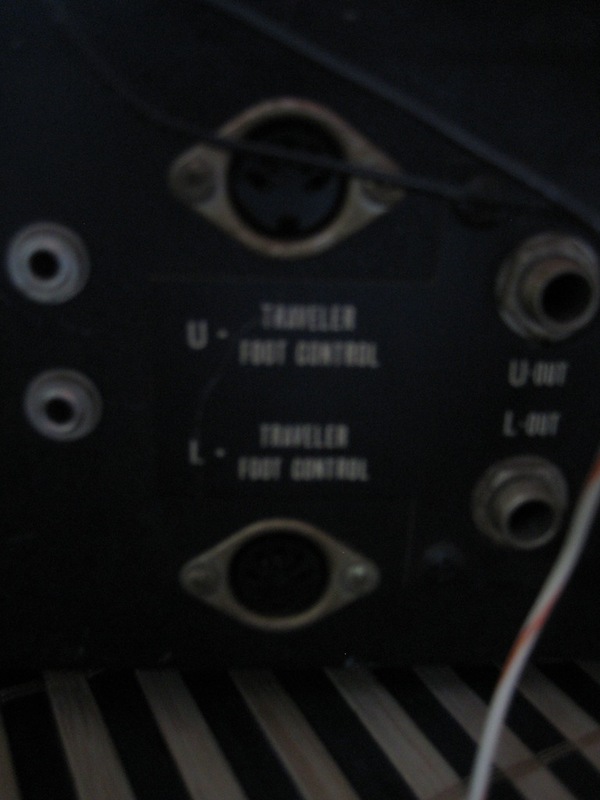 If you look the 3rd picture you can see that there is some traveller control input so I guess I could control them via cv if I change the connectors..
Hi, I'd like to buy one of these boards from you. Do you have any left? Still have a Maxikorg mod pcb left ? or does your new batch is ready ? Can I order 2 ? Thanks! But pricewise, ouch! Never seen one go for that much. I'm new to muffwiggler. Been a vintage synth tech since '79, mostly in Los Angeles. 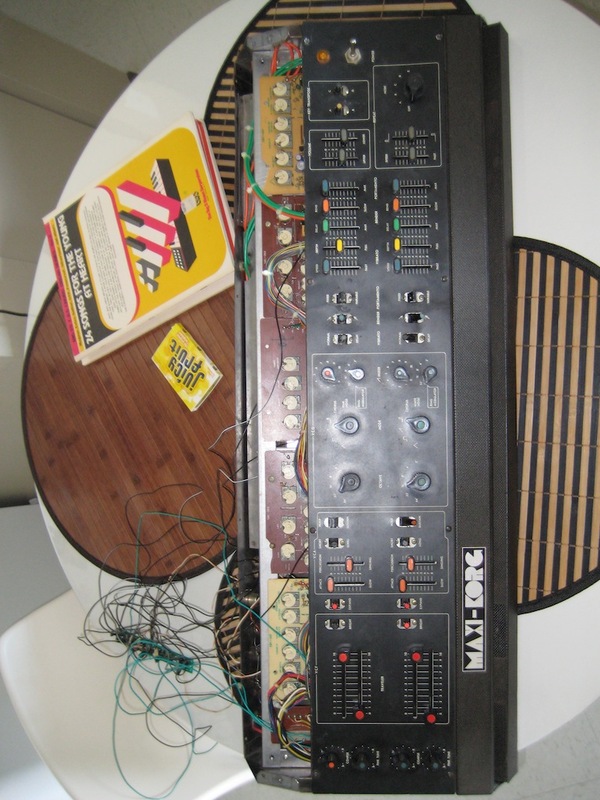 I was wondering if you still have info on modding the Maxi Korg to have a decent version of a cv & gate retrofit ? thanks. I'd like to take advantage of this already being made up, so yes, I'm interested. What kind of $ do you need for it? Can you accept a Paypal ? Whoops... meant to send PM..
What kind of $ do you need for it? Can you accept a Paypal ? Do you still have some pcb available ? Many thanks and great work Andrew,really ! I used BC556 & BC550 instead of BC557 & BC547, as I had them laying around. These should be ok right? I'd love to order one board also!!!!! I have some detail questions that I'm unclear on even after reading the doc and cykong's site and looking through the bundle of images. Cykong cites a 3PDT and 4PDT switch, but it's not clear at all how he wires those up. I can see a 4PDT for CVs/Gates, and a 3PDT on-on-on for repeat (gate 1, gate 2, stock), but that leaves out the S&H gates?? How did you wire yours up? There's only the one switch listed in your doc (for the repeat gate), and from the way I read that it goes to where there's yet another switch in the list of GIF/JPG diagrams. The other question is where did you mount it? Cykong's stripboard has holes that line up with the screws in the voice board, but the holes in your PCB don't. They *almost* line up between one of the voice board screws and one of the brown PCB screws, but it's off by about a mm or so which leaves me concerned that the mounting won't work well there. Suggestions? The PCB just goes either in the floor of the case or my original one (on veroboard) was mounted to the back of the case. I never planned it to line up with any mounting holes, there is plenty of space to mount it under the PCBs. 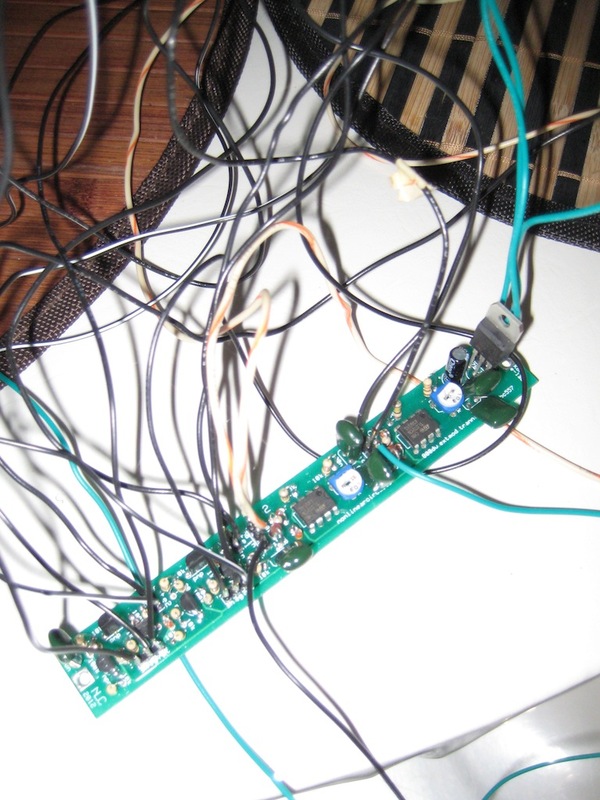 Sorry it is not clear but the wires from the mod PCB to the various points on the Korg should go via switches, so you can select external gate/CV or original Korg setup. I used to have a spdt switch for each one....forget maybe 6 or 8, all on the back of the case. I replaced the socket panel with one of my own. As my 800dv no longer has a keyboard I no longer have any switches and the external inputs are always 'on'. I'm not entirely sure what cykong is doing with those rotaries either, I pretty much stuck to the e-lab design. I'm still scratching my head over the switch layout. I'm not entirely clear on how the S&H and repeat functions work on this synth (owners manual... less than clear ), so I'm going to bounce my ideas here if anyone wants to let me know if they make sense, or if I'm way off in the weeds. Switch 1: 4PDT, both CVs, both EG/Bend/Vib gates, basically on or off for the the external capabilities. Could conceivably do two 2PDTs if I wanted to do upper and lower separately. Switch 2: DPDT on-on-on (aka 3PDT on-on-on), repeat gate, up connects in the upper voice's external gate, center is normal, down connects in the lower voice's ext gate. Switch 3: DPDT on-on on, S&H gate, up connects in the upper voice's external gate, center is normal, down connects in the lower voice's ext gate. I don't see any good way for me to combine switches 2 & 3, and I think the main thing that is confusing me is whether it makes sense to have the repeat & S&H gates separate from the EG gates. I just got the first switch described above completed last night (had a delay due to a bad switch and no spares), and external is really really weird. If I hold a key on the keyboard, it works as expected. If not, I get whatever the last note the external played repeated with the incoming gates. This prompted further review of the mods and the circuit and I think I realize what the problem is, and the switch model I describe above will absolutely NOT work. The repeat and S&H gates are integral to each voice ( first of all ) and so independent. And the S&H gate in particular is just the internal hold of the last key's voltage. Lack of familiarity with the keyboard had me confused on that point. So for external to work correctly, *all three gates* have to be hooked in for the voice in question. So the right way to wire this for independent upper/lower external control is two 4PDT switches, one for each voice. Each switch then has CV, key gate, rpt gate, and S&H gate enable or disable. I plead unusual architecture and weird gate routing in my defense for not understanding how it works prior to this. EDIT: And I still have it slightly wrong there. The S&H is per voice, but the repeat gate is not. So I've wired that so that the non-mod internal gate wiring goes to both of the 4 pole switches for the "off" position, and the center on that pole goes to an additional SPDT switch to select whether the repeat gate is fed from the upper or lower voice. If you have one more pcb, i'd like to buy it. has anyone tried the Kenton cv/gate kit? seems well done. wondering how difficult it is to install; the manual's not online. it's also not cheap. If you still have i like to buy one also. And does anybody know where the performance tools are inserted into the system? Is that after the keys and before the vco? I love to use those when using cv/gate. Great job. I want one PCB too. Hi Andrew. Can you refresh my memory on what your 800DV board controls? To be clear, it can control the repeat rates? Sorry, viewing thread on my phone so hard to read. Let me know if you have any available still. Thanks much. Yes in stock, US$20 including shipping by regular airmail. and 2 gate inputs which trigger EG/Vib/Bender, S&H and repeat gate. Does someone have their Maxikorg easily accessible and can measure the length/width? Planning a rack to hold it and it's not yet in my possession. I'm about to dive into the project. How is everyone doing the sequencing? I'd ultimately like to sequence both Upper/Lower independently. I thought the Korg sq1 would be a cheap option, but it is unable to convert midi to hz/v (only works via the usb from what I understand) and it also only converts 1 channel. I also have a Paia midi/cv that's part of my 9700s. As far as I know it doesn't natively output hz/v though. Anyone have experience doing that? jabberwalky Paia do an easy to build linear-to-exponential converter in the shape of the 9756K module. Maybe two of those will take care of upper/lower section hz/v requirement. Apologies! I believe that's the wrong direction of conversion in this case, though the 9756K could still be worth knowing about for CV traffic in the other direction. Do you have any pcbs left? I’d be interested in one too if you have another spare, thanks! I need one for my newly acquired DV800! I just sold my CS5 to a friend, would this work on that as well? What are recommendations for component sellers in the US? Also, what mods have you guys done besides CV/Gate? In the US best is Mouser but very difficult to navigate if you are new to purchasing components. Are there alternatives I can use from that site? This is my first circuit building project so I am pretty clueless. You can use the 7815, its a bit chunky tho. Also be aware its pinout is opposite the 78L15, so install it backwards - Tayda 7815 Prob best to get a 78L15, ebay will have them cheap. When do you know to recap old synths? I recently got the 800DV, Octave Cat and a rare Soviet RMIF Opus. I don't think any of them have been serviced in a while. Check that the PSU is putting out rated voltages. If not, the PSU alone may be in need of re-capping. Across the rest of the synth, *MY* watch word is, if it is working to specification, don't mess with it. The main exception being if you see physical changes to caps (usually electros bulging) or leakage, those and ones like them ought to be replaced. Blindly replacing all the caps in a synth because it's old touches so much of the synth that you're almost as likely to cause a new problem as solve any impending ones. But there are a lot of more seasoned techs than I am who will disagree. Hence "can of worms". Edit: IMO more important than how long since servicing is how they were used. If they were in steady use? Probably just fine. If they were mothballed for years, then that's a different matter, there are types of caps that don't like to go without current for extended periods. I see. The guy who sold me the Opus said it would need recapping, some of the rotary knobs need replacing etc too. I read that you can tell sometimes by noises gear makes when the caps are bad. FYI this is the OPUS. I have replaced caps that were in the signal path and caused static and noise -- that's *not* performing to spec though. There's a lot of mythology about recapping or not out there. Like I say, there are experienced techs who would likely agree with the seller, so just take my opinion for what it is -- my opinion . 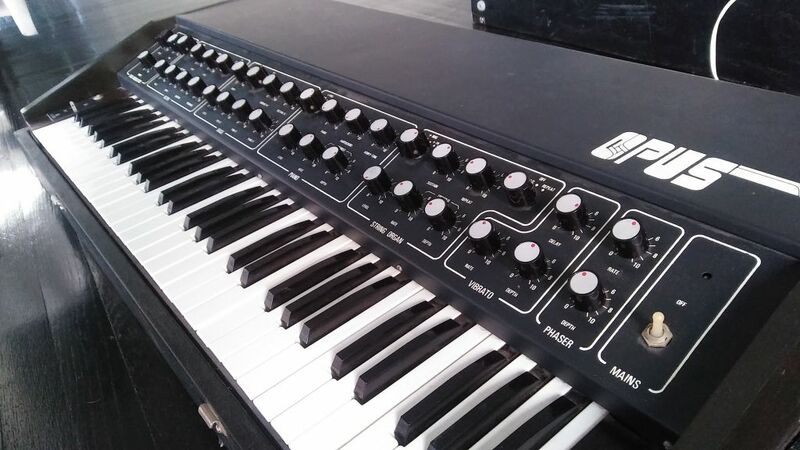 Back to topic, what was your final mod for the Korg? You mentioned using various switches. Also did you add the filter mod? The original parts list was missing a few things like the header and the thing that holds the IC's, what should I get? Also does anyone have an Octave Cat SRM here? Quite honestly the Korg was so long ago, and for someone else, that I don't recall the entire job. I am nearly done building the little mod. Is there anyway to test it before I install it in the Korg? Another question, I am looking at the "From Accessory" inputs on the back, I am a little confused as they don't seem to be connected to anything. Do I need to add my own external inputs? On mine, I rewired and relabelled the accessory jacks as I did not use them for anything otherwise. if you put a signal into CV in you should see it at CV out, with a bit of gain added. Putting in a gate, you should see it at Repeat out. EG/vibe/bender is usally held high so willdrop to 0V when the gate coming in is on. The SH gate is a bit harder as it pulls down to -V. You could use a LED to check. Connect the Anode (long lead) to Ground and the cathode to the output. It should turn on when the incoming gate is on. Use an super or ultra bright LED as it has a 10k resistor limiting the current. Thanks, I will do the same with the external inputs. Should I connect the power to the output side of the transformer board is there a better location to do that? I read back through this post and trying to figure out the switching, you said you have a switch for everything and elmegil was using 3 switches. I have 2 x 4DPT switches, can I do it with just those? Also did you use the foot controller for filter control?